We’re delighted to be able to offer you a selection of savings on a collection of excellent Anker hardware. If you are all gifted out and didn’t quite get what you expected from the rotund festive man, then maybe these deals will introduce the spirit of cheer. If you aren’t familiar with Anker as a company and as a hardware producer, then you really should be. The company has been designing and pushing out quality hardware and accessories for years now and pretty much has something to tickle all taste buds as far as technology is concerned. These particular deals are all focused on power delivery and include options for when you are driving as a highly diverse and useful power strip which comes with USB-C connectivity for those modern devices. 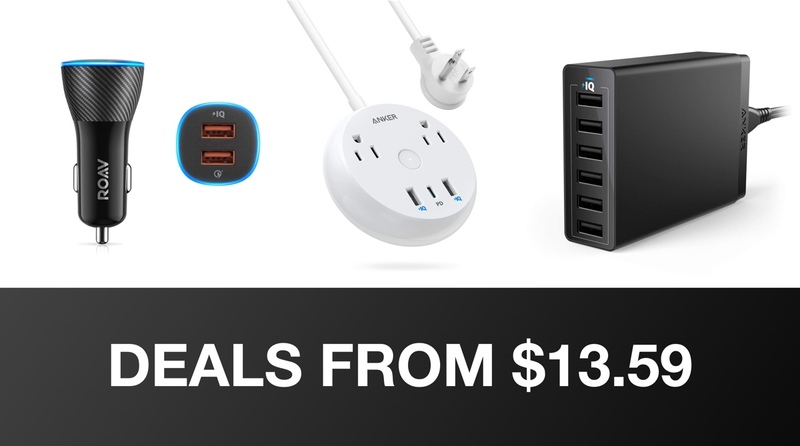 If you have dug deep and managed to find some spare change that you’d like to exchange for some excellent and highly reputable Anker goods, then you can find the deals on offer below. All of the deals live within the power delivery spectrum and are either branded as Anker or come under the Anker Roav range, both of which are guaranteed to bring quality and long-lasting excellence to your door. Remember, each deal comes with its own discount code which works on conjunction with the product on offer to give you the maximum possible discount at the point of purchase. Forget this code and you can forget the wonderful savings that are being offered. It’s also prudent to remember that this is as low as some of these units have been and are likely to only be on offer for a limited period of time, meaning that haste is recommended to ensure that you don’t miss out.